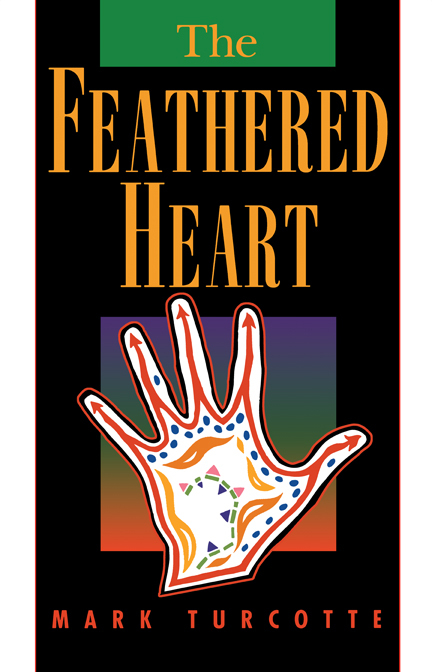 This revised and expanded edition of The Feathered Heart, Mark Turcotte's celebrated collection of Native American poetry, brings traditional oral culture to print. Torn, painful, vibrant, and full of hope, his poetry weaves together the multilayered and textured fabric of contemporary Native American urban and rural existence. Appropriately, each poem in The Feathered Heart possesses a deeply lyrical quality. Raw emotion echoes in Turcotte's voice, in his verse, in the things he sees. "Ten Thousand Thousand Bones," for example, "a poem about the desecration of Native American burial sites and objects by archeologists," is dedicated "to an ancient woman taken from the Earth near New Lenox, Illinois in the winter 1993/94." Mark Turcotte, a Chippewa writer born of an Ojibway father and Irish- American mother, spent his earliest years on North Dakota's Turtle Mountain Reservation and in the migrant camps of the western United States. Later, he grew up in and around Lansing, Michigan. In 1993, he won the first Gwendolyn Brooks Open-Mic Poetry Award. Mark was named a 1999 Literary Fellow by the Wisconsin Arts Board, and has received a Lannan Foundation Literary Completion Grant for 2001-2002. He has been the recipient of a Community Residency from National Writer\'s Voice and was awarded the 1997 Josephine Gates Kelly Memorial Fellowship from the Wordcraft Circle of Native Writers and Storytellers. Mark has written a number of books, both poetry and fiction.